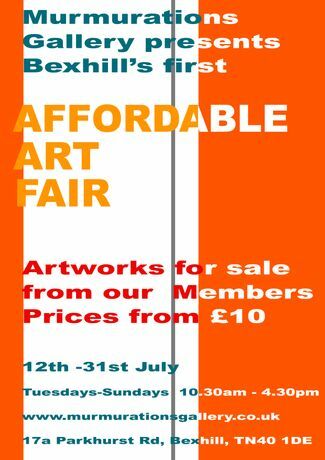 Bexhill Murmurations Gallery Members' Affordable Art Fair. Original artworks and prints from as little as £10. Come and bag yourself a bargain. Summer is here! We kick start our season with two exhibitions which aim to attract the general public to the gallery. Both shows will give opportunities to artists to showcase their work within our ever growing membership. From 12th-31st July, Murmurations will host Bexhill-on-sea's first Affordable Art Fair. 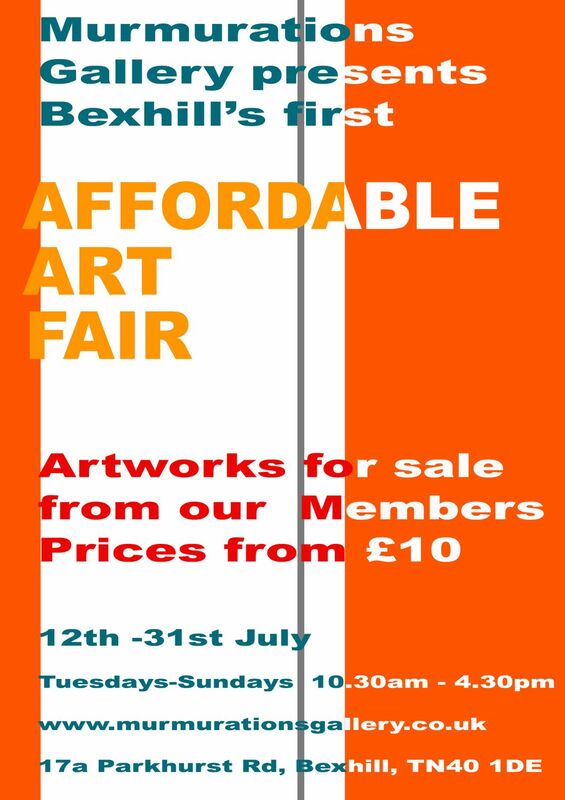 It will be made up of artworks from our members and will be a great opportunity for those who wish to buy art to come and see the range of artworks available. Who knows, you might grab yourself a bargain. Artworks starts from as little as £10. Then from 2nd-25th August we hold our Summer Open. Submissions are still open and we invite artists who are interested to submit their work to us as soon as possible. Demand for this is high.